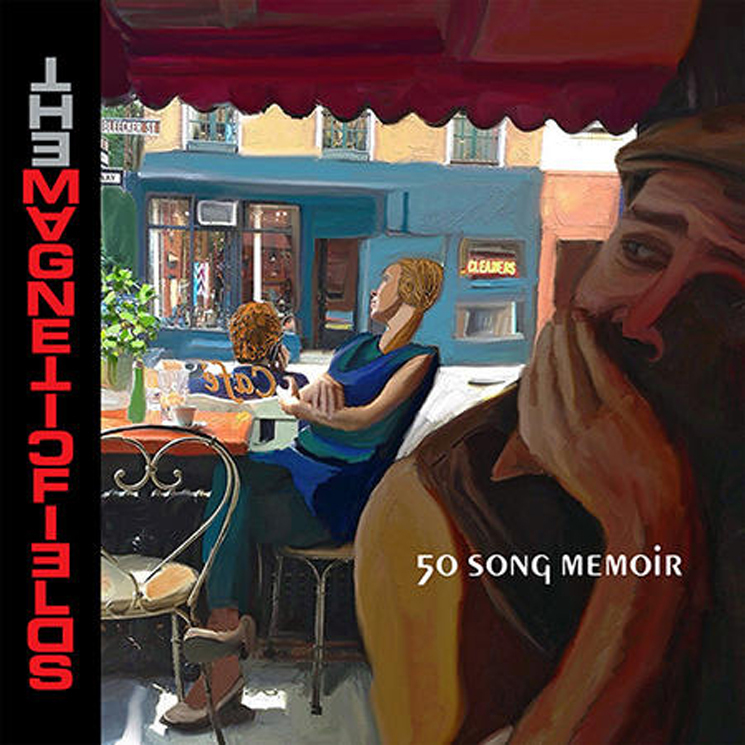 If you've been itching to dive into the Magnetic Fields' truly massive new album, 50 Song Memoir, here it is — or at least a big chunk of it. The album is out March 10, and you can stream the first disc of the album now. As previously reported, the five-CD/five-LP collection chronicles the life of songwriter Stephin Merritt with one song per year. He started the recording on his 50th birthday (February 9, 2015) and describes the end result as "a mix of autobiography (bedbugs, Buddhism, buggery) and documentary (hippies, Hollywood, hyperacusis)." More than a 100 different instruments are said to appear on the album, and you can currently hear some of those come to life via a full stream of the first disc from the sprawling set. Listen to it below courtesy of NPR, and expect the following discs to arrive as we get closer to the Friday (March 10) release of the album via Nonesuch. UPDATE (3/9, 1 p.m. EST): You can now listen to the first, second, third and forth discs below. Also, to learn much more about Merritt, the Magnetic Fields and his many other projects, check out Exclaim! 's Essential Guide to the artist here.